When it comes to holiday and seasonal collections, I think of eye-catching designs, festive shades and beautiful formulas I'll enjoy all year round. Merle Norman's seasonal collections never disappoint and the Winter Collection is no different. This collection highlights existing Merle Norman products and also includes special limited edition products that give a festive twist to much-loved favorites. Contour + Highlight Duo | This compact features a matte contour and highlight. I love the realistic finish of these powders. There's no sparkle in the highlight and the contour looks really natural, never muddy. Blending is a breeze and because these are powders, it takes a fraction of the time than with cream products. 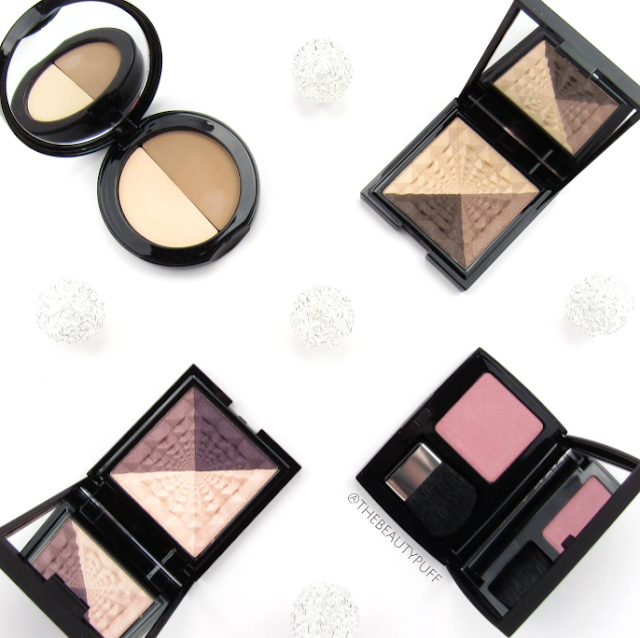 Having both products in one compact makes it really convenient for holiday travel too! Cozy Nudes + Modern Exposure Eyecolor Couture | Perhaps the most eye-catching products in the Winter Collection, are the two limited edition shadow quads. Cozy Nudes features a luminous gold, luminous champagne, semi-matte medium brown and semi-matte deep brown. These shades give beautiful dimension with a mix of versatile shades and finishes. 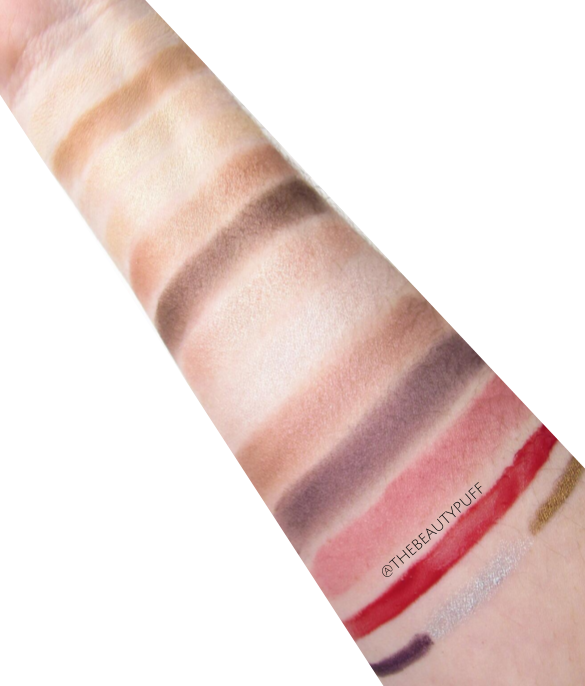 Modern Exposure features a luminous champagne, semi-matte ivory, semi-matte mauve, and semi-matte deep purple. I love the design of these quads but also the versatile shades they chose. They make beautiful gifts but also work well for everyday wear. Definitely keeping these out on my vanity for a while! Lasting Cheekcolor in Bombshell | Another limited edition gem in this collection is this gorgeous blush in Bombshell. It's a stunning plum with the slightest sheen. It gives the cheeks a beautiful glow without looking unnatural. I think of sugar plums every time I see this color. It's a very festive shade for winter, love! 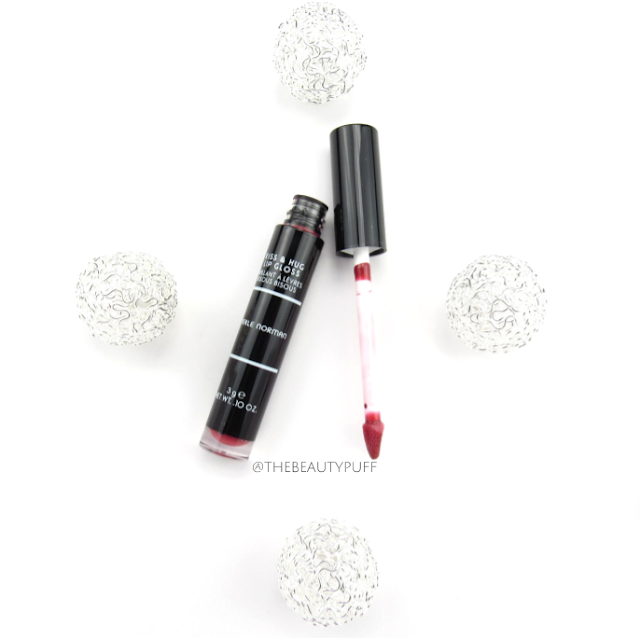 Kiss + Hug Lip Gloss in Mulberry | Talk about a perfect holiday shade! Mulberry is the deepest shade in the Kiss + Hugg lip gloss and it's the perfect bold lip for the holidays. The formula is smooth and gives full color and shine in just one swipe. 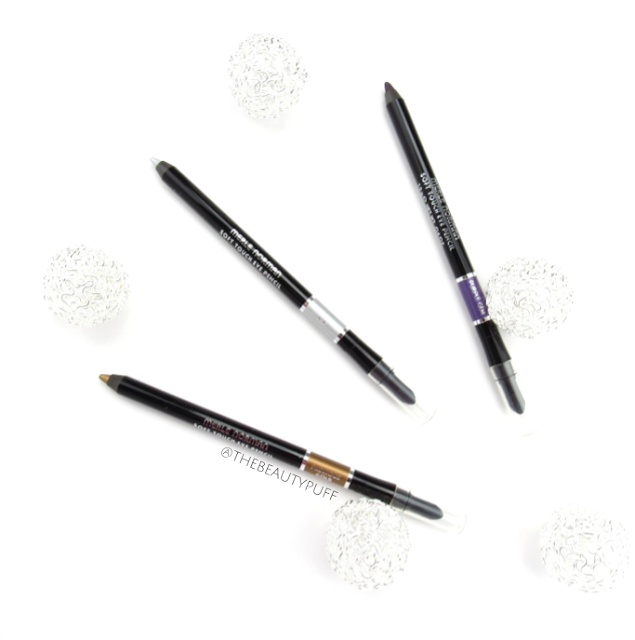 The tapered applicator gives precise control so you don't have to worry about color going outside the lip line. I love the light-weight, silky texture of this lip gloss. If you're a gloss girl like I am, definitely give this a try! Soft Touch Eye Pencils | The three pencils features in this collection are Precious Gold, Icy and Purple Gem. Each of these pencils is permanent within the Merle Norman line so you can enjoy multiple colors all year long. Each pencil features a silky formula that can be blended with the smudging tool on the opposite end. The staying power is fabulous and the colors are so vivid and festive. I like using Precious Gold with the Cozy Nudes quad and Purple Gem and Icy with Modern Exposure. I love how everything in this collection works seemlessly together for the perfect, polished look. The Winter Collection is on counters now! Search below for your nearest Merle Norman studio.